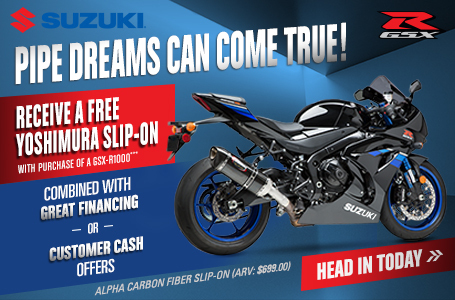 Traverse the terrain of your choice on the 2016 Suzuki DR650S. This dual-sport cycle is designed to conquer less than ideal conditions. The inverted cartridge front forks combine the best features of conventional and inverted designs to provide the smoothest riding experience possible, while the 644 cc engine gives you more than enough push to get up the hills or down the highways. Your riding conditions may change regularly, but the DR650S’s performance won’t. 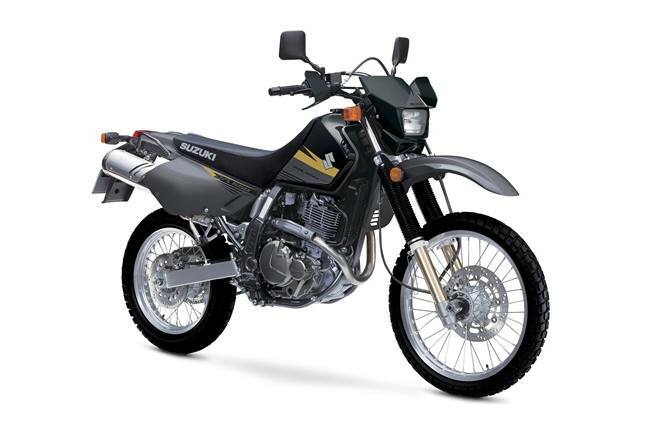 The compact and powerful 644cc, SOHC, four-stroke, air & oil-cooled, engine features the Suzuki Advanced Cooling System (SACS). Piston-jet cooling and an engine oil cooler create consistent performance in a variety of conditions. The engine is tuned with an emphasis on performance in the low-to-mid RPM range, while a gear-driven counter balancer minimizes vibration for comfortable ride. Suzuki Composite Electrochemical Material (SCEM) coated aluminum cylinder is used for durability, light weight and excellent heat dissipation. Digitally mapped DC-CDI ignition system provides accurate spark timing for efficient combustion. Large MIKUNI 40mm (1.6 in) carburetor provides a smooth intake flow and quick throttle response. The stainless-steel exhaust system is light and corrosion-resistant, and is tuned specifically for strong low and midrange power. Easy-pull rack and pinion activated clutch proves precise operation and feel. A smooth-shifting 5-speed transmission is complemented by a sealed O-ring drive chain. A lightweight, compact, rigid semi-double cradle frame provides agile handling on and off road. A link-type rear suspension with piggyback-style aluminum-body shock absorber provides stable performance. The height adjustable* shock features adjustable spring preload and compression damping to personalize the suspension for rider, load and terrain. Front and rear suspensions provides generous 260mm (10.2-inch) wheel travel for superb performance over rough terrain. Aluminum rims with stainless steel spokes are standard and are built for durability and strength. The wheels are fitted with 90/90-21 front and 120/90-17 rear tires that offer excellent on and off road traction. A long, comfortable seat, aluminum footpegs and grab handles allow you to carry a passenger with ease. Seat height may be lowered by 40mm (1.6 in) using a Genuine Suzuki Accessory kit. The kit includes a shorter side stand to match the chassis height adjustment. 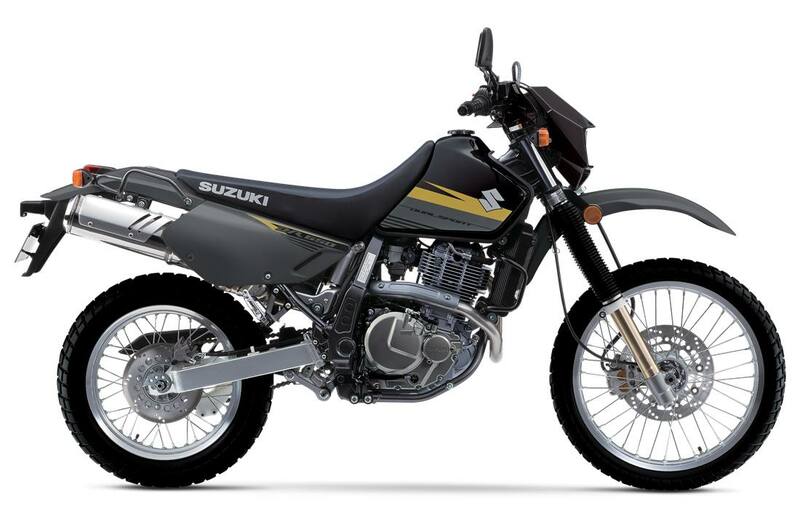 Other Genuine Suzuki Accessories include a low profile seat, cargo rack, skid plate and more.